This is probably one of the most heartbreaking stories I have ever read. 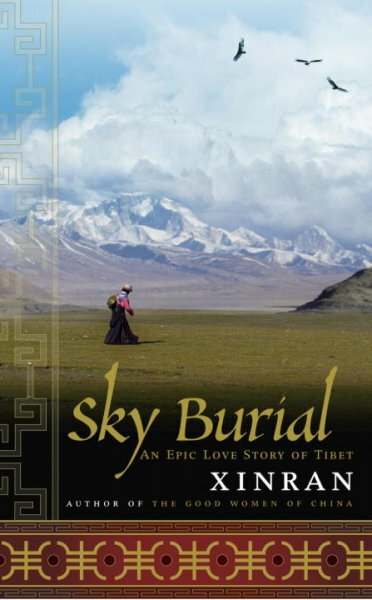 It is a remarkable, fascinating read, a love story of Tibet and its people. Shu Wen was a doctor. So was her husband Kejun. They had been married for just a few months when Kejun is sent to Tibet as a Chinese army doctor. Not long after, Wen is notified of his death. There is no information provided about his death, official or otherwise. She decides to sign up with the army to go to Tibet and find out what happened to him. With the shortage of army doctors in Tibet in the 1950s, the military takes her on. Traveling with her army unit, Wen saves the life of a Tibetan woman named Zhuoma. The heir of a privileged family, Zhuoma speaks Chinese, having studied in Beijing. She and Wen become friendly (she has lost a loved one too) but become separated from the rest of the company when some Tibetans attack the convoy. The two women find a nomad family residing in the lowlands who help the injured Wen, and the two women decide to stay with them until summer, to learn how to survive outdoors and for the family to build their supplies to spare them provisions and horses. The details of the family’s self-sufficient daily life are fascinating. Gela, his brother Ge’er and his son Om were responsible for matters outside the home such as pasturing and butchering their herds, tanning hides, mending their tools and tent. Gela’s wife Saierbao and two daughters did the milking, made butter, cooked, collected water, made rope, and made the dung cakes that were the heat, light and fuel source. Wen spends 30 years isolated in Tibet. But she never loses sight of her goal and eventually finds out what happened to Kejun and returns to China. Xinran tells Shu Wen’s story simply. Although she says in the beginning that this is the story of a woman she meets in Suzhou, who tells her this tale over two days and then disappears, it has been classified as a work of fiction, so I’m not quite sure whether to call this fiction or non-fiction. Still whatever genre it fits into, this is a beautiful story, and an unforgettable one that will stay with you long after you finish the book. This is my sixth read for the Global Women of Colour Challenge (challenge page). 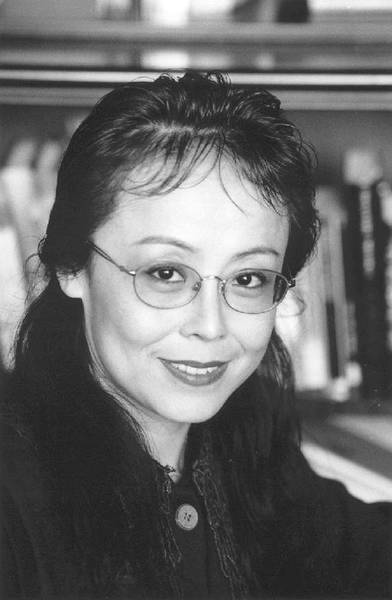 Xuē Xīnrán (薛欣然, pen name Xinran, born in Beijing in 1958) is a British-Chinese journalist, broadcaster and writer. In the late 1980s, she began working for Chinese Radio and went on to become one of China’s most successful journalists. In 1997 she moved to London. The Good Women of China: Hidden Voices. ← Previous Post It’s Monday! What are you reading? This was the November book group read. What an amazing book, read in one sitting. The group felt that there were so many questions left unanswered and as Xinran lives in London we decided to write and see if she had ever found out anything more from the plea at the back of her book. I wrote just after Christmas and still have not heard. Fingers crossed I might! Oh that’s awesome! I guess many readers of the book have to wonder if she has been able to contact Shu Wen at all. It is so strange that she disappeared like that! Wow! Thank you for prompting me to add this to my Goodreads wishlist. It sounds amazing. I remember reading this some time ago, a heart-breaking, amazing story. It really was quite a story! I’m glad you like it. It’s a haunting story to know someone who live in an element different than what he or she is born into. So many stories like that during Cultural revolution.